Hope everyone is having a wonderful Saturday. . 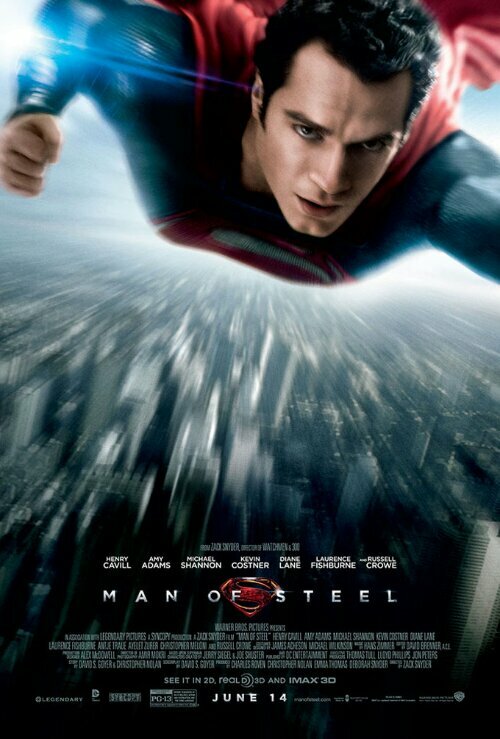 Weekends mean movies… the most awaited Superman movie #ManofSteel released this weekend. I would say I expected more. I thought Henry Cavill suited the bill perfectly as Superman. .. but was under utilized. The first half of the movie was spent on the origin of Superman and shows the struggle Henry goes through as child growing up with his powers. Was pretty stretched I would say. Second half of the movie is when you actually see him as Superman. However, I was missing the Superman in action. Though the second part has action scenes. . They felt more like video game action scenes to me. Didnt quite enjoy them. General Zod gets killed with a mere neck twist! They spent nearly half an hour breaking glass and buildings fighting and he dies with a neck twist!! That was disappointing. So, overall I would rate the movie as 2.5 stars…but would definately want to see Henry Cavill in next Superman movie with a strong story showcasing the qualities he possesses.